Motorway A5 exit at Nus. Following then the SS 26 towards Aosta for about 5 km, at the junction for Brissogne, pass the bridge on the left and drive on for another 1.5 km you will arrive at the “Hotel SPA Biancaneve” . 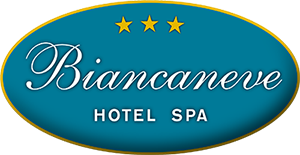 Drive down towards Aosta, then SS 26 direction Turin and after 2 km at the junction for Brissogne, cross the bridge on the right and drive on for another 1.5 km you will arrive at the “Hotel SPA Biancaneve” . Motorway A5, exit Aosta Estfollowing the SS 26 towards Turin (ca 3km) you arrive at the junction for Brissogne, cross the bridge on the right and drive on for another 1.5 km you will arrive at the “Hotel SPA Biancaneve” .